Note: Extract from my newsletter sent yesterday. Please register your email here if you like to receive such newsletters. 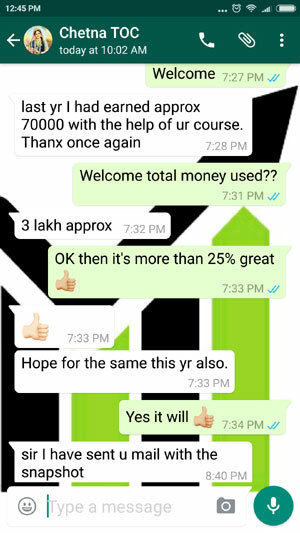 You will also receive a free 5 days course on options. INDIA VIX today closed at 16.43. It could increase before the announcement of RBI Policy tomorrow at 11 am sharp. I assume it will drop after that. What can you trade tomorrow? If you have taken my course trade Strategy 1 BEFORE the announcement is made at 11 am – NOT after. If you are already in Strategy 1 – please see if you are getting reasonable profits at around 1 pm. 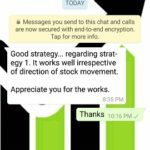 If yes close your positions and book profits. VIX would have dropped and index stable. Great time to take profits out. Enter again when VIX increases. Looks like 17 is the best to enter. But there is no need to keep waiting. There are no major news at least for the next 15-20 days – so it looks like VIX will be more or less in a range 15-17. So any day you see a spike, enter Strategy 1 again. 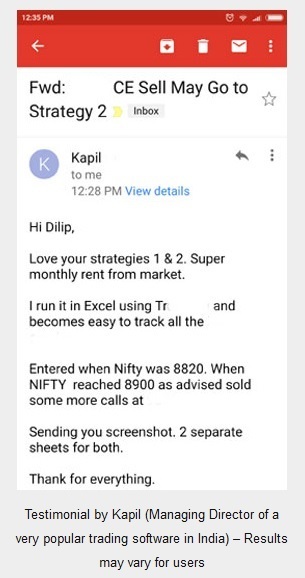 If you are an Intraday trader – SELL ATM (at the money) options (both calls and puts at 9.30 am) and book profits end of day or if Nifty moves 1% from the time the options were sold (this is actually stop-loss in profits). Do not sell after 11 am tomorrow. A 1% move will NOT damage the positions – VIX drop means you will still be in profits. Why I asked to sell options before 11 am today? The reason is this that VIX will be high before the announcement is made and after that it will fall. 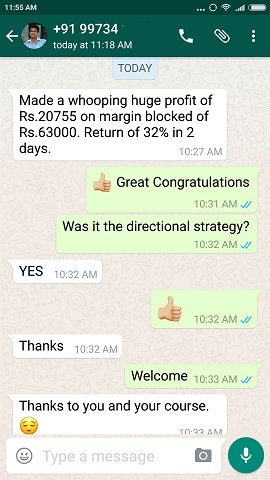 Sellers can make quick profits trading Intraday. As you can see VIX today opened at 16.43 – same as yesterdays close – but at the time of writing has dropped significantly. All Intraday option buyers will lose money today as I do not expect huge movement after this news. And remember – options buyers, especially the short-term ones or Intraday traders, get very active on these days as they expect huge movements. When nothing happens they close their positions in losses. 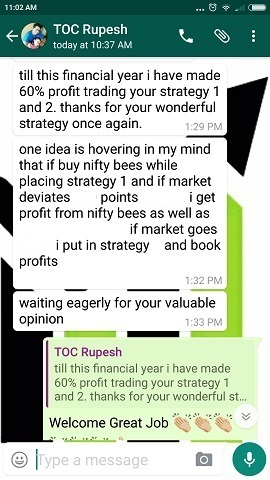 Sometimes even when the move comes – they still lose money because of the drop in Volatility which leaves them confused as to why they lost money even when Nifty moved in their direction. Why There Will Not Be Huge Movement? That is because what happened was expected anyway and now the traders DO NOT know whether to buy or to sell and that could be stocks/options/futures whatever. In situations like these there is going to be a balance and markets will not go anywhere ensuring losses for the buyers. In today’s case the markets expected no rate cut and exactly that happened. Reserve Bank Governor Raghuram Rajan held repo rate steady at 6.75 per cent in his monetary policy announcement today. When markets expects something, it factors the movement much BEFORE the news is out probably a couple of days before. So markets move huge ONLY if what they expected did NOT happen or something very unexpected happens. For example if RBI would have decreased rates, then markets would be flying high now. Had it increased rates, markets would have nose-dived. But since the news met expectations nothing major happened – except the drop in volatility. What is INDIA VIX now? When I started writing this article at 11 am it was 15.97 (-2.80%) down from yesterday’s close. 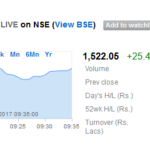 Now at 11.45 am it is 15.88 (-3.35%) down from yesterday’s close. The fall may continue today so the best time to book profits is after 1 pm. Update at 1.50 pm: Like I said it will keep dropping at 1.50 pm INDIA VIX is at 15.70 (-4.44%) since yesterday’s close. Nifty also did not show much movement for the day – just 10 points is virtually NO movement. Book Profits NOW and close your Intraday positions. If making reasonable profits in strategy 1 close it too. Do not wait more. We will wait for another opportunity to enter markets. Good traders are NEVER always in the markets. Enter when there is an opportunity and exit with profits as soon as you can. Update at 3.30 pm: INDIA VIX closed today at 15.63 which is -0.80 from previous day’s close or -4.87% down from yesterday. Nifty also did not move much – closed at 7954.90 or 19.65 (+0.25%) points up from yesterday close. I think a lot of you would have booked good profits. Build Wealth Slowly Should be Your Mantra. Very timely advises on the eve of RBI policy announcement. When markets expects something, it factors the movement much BEFORE the news is out. Good traders are NEVER always in the markets. If making reasonable profits in strategy 1 close it to. If making reasonable profits in strategy 1 close it too. Enter when there is an opportunity and exit with profits as soon so you can. Enter when there is an opportunity and exit with profits as soon as you can.